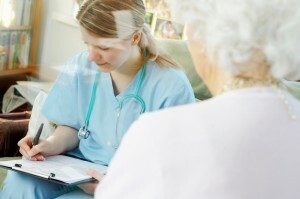 Reduce the need for long-term care institutional placement. CareMaster Medical Services is a Preferred Provider for several different SOURCE sites around the state of GA that cover different groups of counties listed on our CareMaster Coverage page. Please refer to our links page to identify the different SOURCE case management sites that may be able to help you and your loved one. Once you have been admitted into a SOURCE site, simply ask your case manager for CareMaster Medical Services and we will be assigned to handle your needed care based on doctor’s orders. We look forward to serving you! Georgia Medicaid’s Community Care Services Program (CCSP) is a waiver program developed to provide home and community-based services to people who are functionally impaired or disabled. The program helps eligible recipients remain in their own homes, the homes of caregivers, or in other community settings as long as possible. 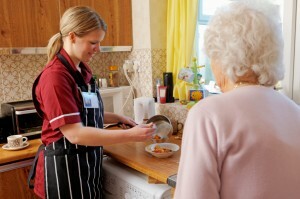 Individuals served through the CCSP must meet the medical and functional criteria for placement in a nursing facility. If you would like to determine your loved one’s eligibility for this program, please see our links page in order to contact your local Area Agency on Aging (AAA). This agency is the gateway for enrollment into the CCSP program and should be your initial contact. Once your loved one is enrolled into the CCSP program, ask your case manager to assign CareMaster Medical Services as your Personal Support Services provider. We look forward to serving you! Please be sure to go to our links page in order to determine eligibility for either of these waiver programs through Georgia Medicaid. Once you are enrolled in either the SOURCE or CCSP program, you may request that CareMaster Medical Services be the provider assigned to care for your loved one.